A smoker's lungs is only one of the harmful effects of tobacco use. The worst kind is the development of tumor. Tobacco includes cigars, cigarettes and even those smokeless cigars. Its use is so harmful that it poses plenty of other dangers on your health. Examples of other negative health effects of smoking are respiratory diseases. It is also implicated in esophageal adenocarcinoma, one of the rare types of cancer. What smoking does to you is harm you softly and slowly. It causes pain in many ways. Smoking is harmful to your reproductive health regardless of your gender. 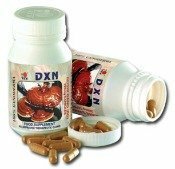 It reduces fertility in both men and women. I have friends who have been married and trying to have a baby for 7 years now. The guy is a heavy smoker. After going through numerous tests, he was diagnosed with having low sperm count. If you are pregnant, you face a higher risk of miscarriage, premature birth or stillbirth of your baby, or a baby with low birth-weight if you smoke or are exposed to secondhand smoke. Smoking is linked to cataracts and another eye disease called macular degeneration. Both can lead to blindness. And your risk is worse when you are exposed constantly to the effects of ultraviolet rays without any protection. Aside from giving you a smoker's lungs, another adverse consequence of tobacco on your health is peptic ulcers. You face a higher risk if you worry too much AND you smoke. If you are a female, you are more vulnerable to bone thinning especially as you age. If you smoke, your risk doubles. And here's another bad news -- if you are experiencing so much stress, the risk increases some more. Male smokers are found to be more likely to encounter problems in their sexual functions. This is because tobacco contains chemicals that increases carbon monoxide and reduces oxygen in your blood. Lack of oxygen causes poor blood circulation. Smoke that comes from cigarettes contains a number of irritants. Research indicates that it may aggravate allergies and people with allergies are more sensitive to it. Asthma is a kind of allergy. The best way on prevention of asthma attacks is to avoid secondhand smoke. The dangers of smoking are not limited to making you sick. The ill-effects of tobacco use are also visible on your . . . Physical Appearance - The toxic chemicals in that stick of cigarette can darken your lips and reduce the supply of oxygen and blood to your skin. Reduced levels of oxygen and blood cause you to have a paler and more wrinkled skin. One of the effects of tobacco use is early aging. Smokers usually look older than their age. 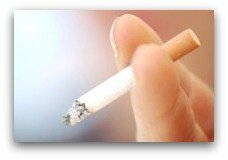 Oral Health - The nicotine a cigarette has can cause stains on your teeth and gums. It can also lead to gum diseases such as bleeding or pyorrhea, swollen gums and bad breath. Quitting brings a lot of health benefits and one of the most important benefits is prevention of many life-threatening diseases associated with tobacco use.